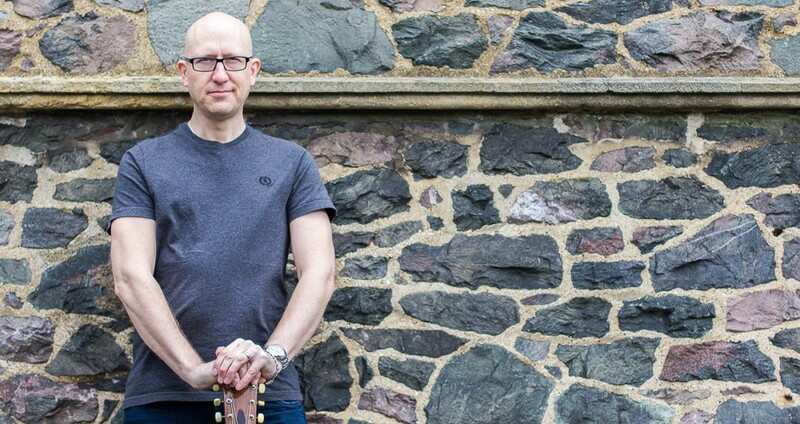 Adrian has been teaching music lessons full time for a number of years either privately to pupils of all ages in their homes or as a peripatetic guitar teacher in schools. Adrian lives in Stamford, Lincolnshire, with his wife Louise and their two daughters, Anna & Naomi. Adrian is a member of The Registry of Guitar Tutors (RGT), the world’s largest organisation of guitar educators. Adrian has been awarded the status of RGT Experienced Tutor, due to his high levels of success in getting pupils through their grade exams. Adrian has many years of experience playing live (he played in a band in his teens and early 20’s that went on to sign a major recording contract with EMI records). He has played in many recording studio sessions and has experience in teaching guitar, bass and drum lessons (plus occasional vocal coaching sessions). From 2007 to 2012 Adrian was employed by a church in Cambridgeshire as a youth worker and musical director. Part of this work involved him providing music lessons, and in addition he taught people of all ages outside of the church work. Adrian specialises in teaching beginners up to those at the intermediate stage, on guitar and bass guitar. Adrian’s approach to get the best results is always to try and make playing as fun and light hearted as possible in order to keep the pupils interested. The beginning starts with basic melody lines, scales, chords and strumming patterns, encouraging pupils to play simple, well known songs along with him. The student is gently progressed from there, as they are comfortable, to more complicated chords with faster changes between chords, basic lead guitar playing (solo’s, guitar riff’s etc. ), more complex rhythmic strumming patterns and damping styles, fingerpicking styles, and trickier scales. Ultimately the goal is to get pupils to the point where they are confidently able to play along with more complicated pieces of music that might involve a little of all of the things mentioned above. At this point it is not unusual for pupils to find Adrian has shared the necessary tools to enable them to be able to continue to progress on their own. How long it takes for a pupil to reach this stage varies enormously and with children often much patience and repetition is required. As an Experienced Member of the RGT Adrian uses their grade books with accompanying demo CD’s. Many of his pupils have greatly benefitted from these books and find the demo CD’s that come with them really help with homework on the guitar. The teaching is very clear and easy to understand. They start at Initial Grade, then Preliminary and then Grade 1 up to Grade 8. There is no pressure to take the exams at the end of each book but, if pupils want to, they have the option of getting internationally recognised qualifications. RGT exams are operated in partnership with London College of Music exams, which was founded in 1887 and is one of the world’s most respected music examination boards. As a member of RGT Adrian is able to offer their grade teaching books at discounted prices for all his pupils. He is also very happy to work outside of the grades framework with pupils if that’s what they prefer. Adrian also works with Rockschool qualifications and is happy to talk about which system would be best for you. If you need to know anything further then please don’t hesitate to contact Adrian.